Sure Strike (Sicherer Stoß) inkl. 0% MwSt. 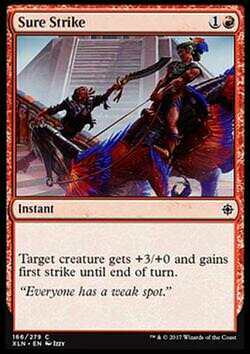 Regeltext: Target creature gets +3/+0 and gains first strike until end of turn. Flavourtext: ""Everyone has a weak spot.""